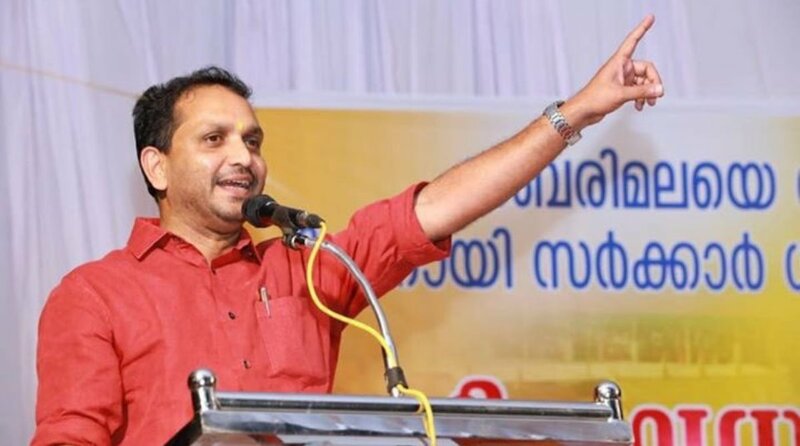 A day after the Kerala High Court granted him bail in an assault case, Bharatiya Janata Party (BJP) leader K Surendran walked out of the Central Jail in Thiruvananthapuram on Saturday morning. BJP workers accorded a warm welcome to Surendran after he emerged out of the jail located in Poojappura area of the city. He also briefly addressed the party workers and greeted the supporters. Reacting to the news of his release from jail on bail, Kerala BJP president PS Sreedharan Pillai said that the party is now more powerful. “Every law abiding citizen in Kerala is welcoming release of K Surendran. Now he and his party are more powerful, and we’ll fight more vigorously,” Pillai was quoted as saying by ANI. “This is a setback to CPI(M) ministry and atheist people,” he added. Surendran, who was behind bars for more than 20 days, was granted bail on Friday in the case of an attack on a 52-year-old woman in Sabarimala on 6 November. The woman had arrived at the temple to take part in a ritual of her grandson. A day before his bail, the Pathanamthitta Judicial First Class Magistrate court had remanded Surendran in 14-day judicial custody. 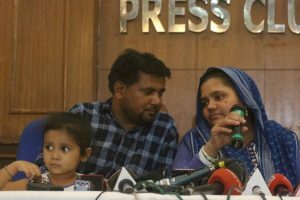 He had already been sent to 14-day judicial custody by Ranni Grama Nyaayalaya Court on 23 November. Surendran was taken into custody on 17 November from Pamba town for breaking a police cordon. He was subsequently charged with the assault on the woman. The Kerala High Court heard Surendran’s bail plea on Thursday and reserved its verdict for Friday, 7 December. Granting him bail on a surety of Rs 2 lakh, the High Court directed Surendran to surrender his passport and not to enter the Pathanamthitta district – where the Lord Ayyappa shrine is located. He had earlier secured bail in all the other cases.